Our very first product, currently in development is sure to soon be a household name. 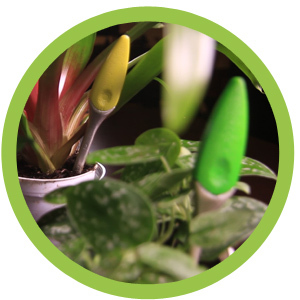 The WaterPixie contains a small, highly sensitive moisture sensor, that works immediately and on its own to detect soil moisture. It also houses a computer, of sorts, that is designed to draw massive amounts of data from a basically limitless variety of plants when the WaterPixie is used in conjunction with the Pixie Garden app. The WP App gives WaterPixie owners the ability to build their own ecosystem both literally and virtually. With the WP App, you can easily link it to your WaterPixies, which will send data remotely to be stored in The Hub. 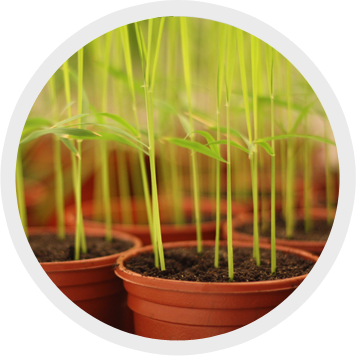 The App is really easy to use, simply name your plants, tell the app what zone your plants are in (room in the house), and with a Pixie in each plant, can monitor the health of your indoor and outdoor plants, landscaping and gardens- wherever you are. The WaterPixie was designed to live in the soil of your plants. Unlike similar products, the Pixie was created to never corrode. Simply set it, and never have to worry about over or under watering again. Visit the WaterPixie Product Page to discover even more great things about the new WaterPixie. And be sure to visit us on Kickstarter to help us get the WaterPixie into a plant near you. A plant with a Pixie is a plant that’s here to stay.